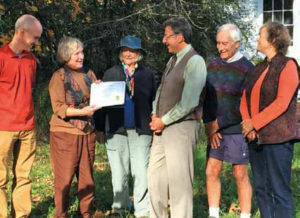 Ken Turino of Historic New England, third from right, presents the Community Preservation Grant to the Root District Game Club’s Jean Lawe. Other Game Club members in the photograph, from left to right: Brian Cook, Suzie Wallis, John Lawe and Courtney Dobyns. The Lawes and Suzie Wallis first became involved with the schoolhouse in the 1960s and have been working to preserve the building ever since. 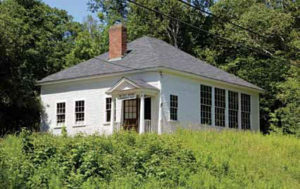 Ever since Root Schoolhouse, a 1937 one-room schoolhouse located across from Hogwash Farm on Union Village Road at the intersection of Goodrich Four Corners Road, was added to the National Register of Historic Places in 2013, interest in this historic treasure has spread far beyond Norwich. This year, Boston-based Historic New England, the nation’s oldest, largest, and most comprehensive regional heritage organization, gave the Root District Game Club a $1,000 Community Preservation Grant to support its efforts to rebuild the schoolhouse’s deteriorating foundation and reopen the building for public use. 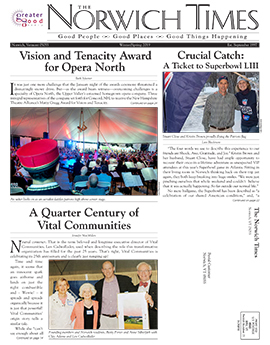 Every year, Historic New England distributes six awards to historic preservation projects in each of the six New England states. 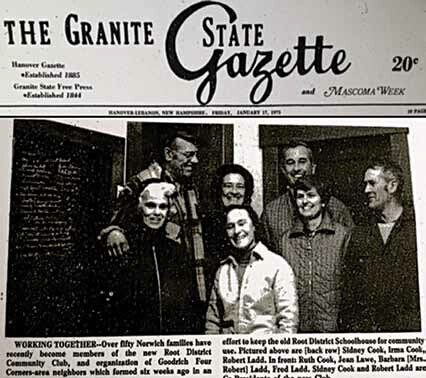 The Root District Game Club, the caretaker and owner of the schoolhouse since 1952 when the building started being used as a community center, is honored to be this year’s lone award recipient for Vermont. In October, Historic New England’s Ken Turino visited with members of the Game Club at the schoolhouse and presented the award to Jean Lawe. Jean, like fellow Game Club officers Suzie Wallis and John Lawe, has been working to preserve the schoolhouse since the 1960s. All three remain an integral part of the current effort to save the building and hope to see their work completed in 2017.